We liked the fact that you had a patio door that opened up and able to go out and enjoy the air. Location is good, close to restaurants, shopping and gas stations. Where to find Yuma hotels near an airport? Where can I find hotels in Yuma that are near tourist attractions? If you'd like to book budget or luxury hotels in Yuma, it's good to know that there are many different options. Spend some time perusing Expedia's 31 hotel options, which are all within a 0.1-kilometre (0.06-mile) radius of central Yuma. Yuma's city heart is an easy walk from hotels like Towneplace Suites Marriott Yuma and SpringHill Suites by Marriott Yuma. The Yuma area has a solid selection of affordable hotel and apartment options that will be sure to delight even the most budget-minded vacationers and travelers. The Microtel Inn & Suites by Wyndham Yuma is 14 kilometres (9 miles) from downtown, while the Shilo Inn Hotel & Suites - Yuma is 2 kilometres (1 mile) away. 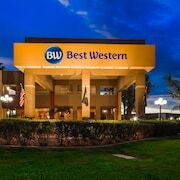 Other lower-cost hotels include the Super 8 - Yuma and the Microtel Inn & Suites by Wyndham Wellton. You could check out the Radisson Hotel Yuma or the Hampton Inn Suites Yuma. 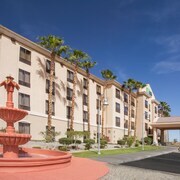 The Radisson Hotel Yuma is situated 2 kilometres (1 mile) from the middle of Yuma. 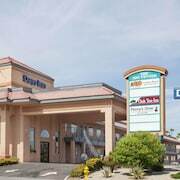 The Hampton Inn Suites Yuma, is situated 1 kilometre (1 mile) away. Some other Expedia-listed hotels include the Homewood Suites by Hilton Yuma and the Fairfield Inn By Marriott Yuma. Just because you are traveling, doesn't mean you can't enjoy your passion for all things sport. Imperial Valley Expo is 95 kilometres (58 miles) to the west of Yuma. Stay close to the action at the Rodeway Inn or the Sun Valley Inn & Suites. 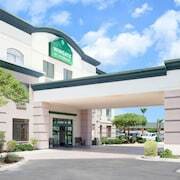 If you are traveling into or out of Yuma International Airport and plan to stay nearby try Holiday Inn Yuma or Holiday Inn Express & Suites Yuma. 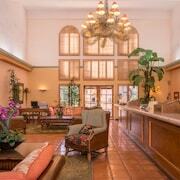 What are the most popular Yuma hotels? Are there hotels in other cities near Yuma? 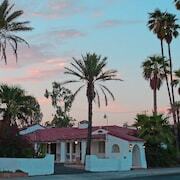 What other types of accommodations are available in Yuma? Explore Yuma with Expedia.ca’s Travel Guides to find the best flights, cars, holiday packages and more!